Owen Gray — Give a Helping Hand (click to listen/watch). On Monday, October 30, 2017 (6:00 PM, Doyle Bldg. Auditorium), the Madison Metropolitan School District Board of Education will finalize our 2017-18 budget. Late information received from the state shows that based on the expenditures from the Preliminary budget passed in June, our district will have about $3.7 Million in unused revenue authority, and significantly lower property tax increases than anticipated (2.96% vs 3.97%). At the October 23, 2017 Operations Work Group meeting, this information was discussed, and there is interest among some of the Board in using some of this authority to increase Special Education expenditures, specifically to add Special Education Assistants, or SEAs (video here). I intend to support (or propose) a budget amendment to do this. It is probably worth noting that prior to passing the June budget, the Board passed an amendment devoting up to an extra $1 million to class size reduction, but because the terms of that amendment, the delay in passing a state budget meant that this money was not spent. At the October 23 meeting I said I was comfortable using about half of the authority, or about $1.8 Million total (there was also some support for collecting and “banking” some of the revenue for future use, and for applying to physical plant maintenance). We are still waiting for some more information on current special education staffing and recent trends; based on the information I have now, I am thinking in the $750,000 to $1,000,000 range for special education staffing, which would mean about 15 to 20 FTE SEAs. In posting a news story related to this on Facebook, I wrote that I “have been hearing from both staff and families that the unmet needs are greater than they have been in the past.,” since that posting I have heard much more. I am not under the illusion that this increase will allow all needs to be met (we are far from that), but I do think it will help in multiple ways. I also fully understand that these kind of last minute budget fixes are not a good practice, and that real help (and good budgeting) involves deliberate analysis, redesign, and implementation. This is in the works, with a Special Education Delivery redesign process (including money for those — often correctly — dreaded consultants) in the budget. I hope that process brings improvement, but right now we know there are needs, and have the means to address some of those needs. I think we would be remiss if we did not do this. What follows is some background and more detail on why I believe this, why I support using some of this revenue authority for special education staffing. Data taken from October Budget Update, April Budget Book, and MMSD (internal) DataDashboard. The school based teacher staffing is an estimate, no data is readily available for 2014, and 2015. The most obvious trend is a shift from SEAs to teachers, resulting in fewer total school based staff, despite generally increasing numbers of special education students (FY 2017 to 2018 doesn’t fully fit this trend, if my estimate is correct, with a total staffing increase of 1.37, for an increase of students of 38). This appears to be deliberate, and also appears to be based on (among other things) a misapplication of the work of Special Education Scholar Michael Ginagreco (more on that below). The April Budget included an increase of 7.7 EAs, the June budget had a net cut of 13 EAs (this includes all categories of EAs, not just SEAs), this is a reduction of 57 from 2015-16. As of the 2017-18 third Friday count there were 82 more special education students than there had been in January of 2016, and 38 more than in January of 2017. Graph from the Wisconsin State Journal, click image for accompanying story. Probably best to start here with a disclosure: my spouse is a SEA in MMSD. Chris Rickert and others of his ilk may think that because of this I should not involve myself in this area as a Board Member. I disagree. If this amendment passes, the odds are it will have little or no direct impact on my spouse’s working conditions (the program she works with is extremely unlikely to see any staffing changes), and even if it does have a small direct or indirect impact, it would not be anything that could be considered special treatment based on our relationship. There would be no monetary impact for our family. The staff in our schools and the families of students in special education can do a much better job explaining why this matters than I can (please do let the Board hear your stories); their direct experiences are much more powerful than my observations and interpretations. That said, I would like to try. Safety: All students; all staff. Whether it is students who “run” from classes, buildings and playgrounds, or students who express their frustrations in physical ways, experienced SEAs who know their students can be a key factor in keeping students and staff safe. Well-being: All students; all staff. With students, some of this comes down to having basic needs (feeding, toileting….) consistently attended to. This is not happening with some students now. With all — students and staff — the stress factors related to understaffing are huge. It is no accident that we had an approximately 20% turnover of CC teachers last year. I don’t have a figure on SEA turnover, but I know more than a handful of good, experienced SEAs who burned out and left. Additionally, about 40% of Cross Categorical (CC, Special Education) teachers hired last year lacked full certification (they were working on emergency permits), and over 25% of those hired did not have general education certification either (emergency licenses). The presence of unqualified and inexperienced CC teachers increases the workload and stress of our experienced staff, making other supports more necessary. SEAs can help. Student learning. Unless safety and well-being are taken care of, learning is going to be minimal. One of the criticisms of SEA staffing is that they end up doing teaching work that should be done by highly trained and qualified teachers; I know in some of our classrooms we have highly qualified teachers doing support work that should be done by support staff. This is not a good use of our resources, either human or fiscal, and it is not good for our students’ progress. Relationships: Relationships are a point of emphasis this year in MMSD, and this could be a good thing. Common sense and solid research shows that strong relationships between staff and students, and among staff can contribute student and staff well-being, staff retention, and most important student academic progress. I anticipate hearing from our administration that there is already enough staffing/money in the budget, and the current system of plugging in emergency and short term staff to address crises is working. Even if by deploying in this manner we do have enough staff, it goes against everything we know about the importance of relationships. It isn’t a good idea to move staff in and out of schools and classroom, and this is especially true in relation to students with complex needs, that often include great unease with change. Adding staff will allow more of the late allocations to be permanent, and subject fewer students and staff teams to instability. It is no secret that much of the consulting class and the professoriate are hostile to Educational Assistants (what they tend to call paraprofessionals). Bottom line minded budget-cutting hacks, find Special Education in general, and EAs in particular easy targets. Others appear to be out of touch with the realities in our schools, and/or over reacting to past or isolated mis and overuse of Educational Assistants. Michael Giangreco, who was one of the keynotes for the MMSD Summer Teaching & Learning Institute, appears to be very well-intentioned, but somewhat out of touch and in the over reaction mode. Unfortunately, it also appears that MMSD staff have not realized the aspects of his work that make it problematic when applied to our district and have been using it to justify cuts to SEAs (accompanied by reallocations to Cross Categorical teachers). I have been digging into his work, and there is much to like. Generously he links to many of his articles and materials on his website (see the link with his name); I have also explored some things that are behind firewalls. One of the big lessons from his work is that staffing for inclusion should be done with a whole school approach (General Education and Special Education), and that it should be done by design, not through piecemeal tweaks. I know that the special education budget amendment will be a tweak, but I also believe the shifts that contributed to the need for this amendment were done piecemeal. For what follows I am going to (mostly) rely on the article that was linked in the Summer Learning Institute materials, “Precarious or Purposeful? Proactively Building Inclusive Special Education Service Delivery on Solid Ground” by Michael F. Giangreco and Jesse C. Suter. Here and elsewhere, Giangreco does a fine job identifying (what I would call) preconditions for successful inclusion models; delineating the interactions of various factors tied to creating positive school cultures and successful student learning; offering multiple measures useful in assessing staffing allocations, and much more; in this article he includes these measures for what he calls “the exemplar model.” I am confident that a school that both met his preconditions and followed his model would be a wonderful school for both students and staff. Unfortunately, MMSD is very different than the exemplars. Research in middle and high schools suggests understanding total student load (TSL, i.e., the total number of students with whom a teacher interacts) is a service delivery variable of importance related to teacher–student interactions and achievement (Ouchi, 2009). TSL levels about 80 allow teachers opportunities to know their students, respond to student work, and have sufficient time out of the classroom to make themselves available to students for individual assistance. This allows students to know their teachers understand and care about them—a key foundation of the learning process and ultimately to student achievement. Exploring general and special education service delivery variables allows schools to establish a baseline and provides a wealth of information in considering how they might contribute to school system health. All good and true. I believe MMSD High School TSLs are generally over 120, or half again as large as Giangreco recommends. MMSD is significantly higher in all but one measure. Leaving aside these other factors, the kicker is that the exemplar model calls for huge increases in SEA, Cross Categorical, and General Education Assistants. Huge. Date Notes: MMSD date from (internal) Datadashboard (I used current instead of third Friday here), October Budget Update, June Budget, CC = “Cross Categorical.” MMSD school based CC estimated, and this estimate was used for caseloads, ratios, and density. Caveat, the Exemplar model should be compared at the school level, it was done here at the district level because time and data access limitations did not allow for a school by school analysis. So to meet the exemplar model, MMSD should add 267.97 school based Cross Categorical teachers, and 359.64 SEAs (along with 144.2 other EAs). OK, let’s do it! The one thing MMSD should not do based on this model is to cut small numbers of SEAs to allocate even smaller numbers of Cross Categorical teachers, but that is exactly what has been done. We are and were relatively more understaffed with SEAs and EAs than we are and were with Cross categorical teachers (according to this model). Adding some SEAs for the short term seems like a reasonable correction. The Board has an opportunity to make investments NOW that will improve the experiences, safety and well being of our students and staff. The scholarship that has been used as one of the justifications for decreases in SEA staffing was misapplied. Allowing things to continue to deteriorate will only make implementing systematic changes more difficult. For these (and other) reasons, I will by supporting a special education staffing budget amendment. When you can give a helping hand, you should. I had joked that the previous post should have been illustrated with a picture of sausage being made, but that I didn’t want to alienate vegans and vegetarians. The amendment is now finished, and the sausage pictured here is vegan. Yesterday afternoon I submitted the final version of an amendment on class sizes to the Madison Metropolitan School District 2017-18 Preliminary Budget. The Board of Education will consider and vote on this (and other amendments), as well as the Budget at our meeting on June 26, 2017 (6:00 PM, Doyle Building Auditorium). In my previous post I presented my then current thinking about the amendment and asked for feedback. This post is a brief walk-through of the final version, highlighting (and to some extent explaining) changes. In general, the legislative process requires compromise, and tempering idealism with realism. I have tried to keep that in mind throughout the budget work, but at this penultimate step compromise and realism become more prominent. From top to bottom, excerpts followed by comments. Both compromise and realism are present here. Reviewing the Budget, previous and pending actions; talking and listening to budget staff, Board Members, community members, I have concluded that the present Budget can support targeted class size allocations of $500,000, and that a favorable State Budget would justify an increase to that amount of $1,000,000. I am sure we will hear more on this from all parties prior to and at the June 26 meeting. I try to be forthcoming and transparent, so I want to acknowledge that the best projections indicate that spending the $1,000,000 which is dependent on the State Budget will push the property tax levy increase beyond the 3.97% projected in relation to the November 2016 referendum, to approximately 4.3% (there won’t be final numbers till October). I should also note that my proposed increase in levy is only one half of the projected $2,000,000 that would be available. One other thing of importance here is the shift from talking about the number of positions to talking about dollars. Being a budget amendment, that is necessary. Translating dollars to FTE is an inexact calculation. MMSD makes wide use of a figure of about $80,000 to budget full time teachers, inclusive of benefits, payroll taxes and everything else. However, teachers hired late tend to be less experienced, have lower levels of post-graduate education, and are less likely to enroll in “family” insurance plans, making them somewhat cheaper. If I had to guess, I would say that the probable cost per FTE hired under this amendment would be about $60,000, so $1,500,000 would yield 25 FTE, but it could be higher and the yield could be fewer than 20. High Poverty, K-3 not to exceed 18 students. High Poverty, 4-5, not to exceed 23 students. Other Schools, K, not to exceed 20 students. Other Schools, 1-3, not to exceed 22 students. Other Schools, 4-5, not to exceed 25 students. High Poverty, 6th Grade, Core Academic Classes (Reading, Math, Science, Social Studies), not to exceed 25 students. Other Schools 6th Grade, Core Academic Classes (Reading, Math, Science, Social Studies), not to exceed 27 students. High Poverty, 7-8, Core Academic Classes (Reading, Math, Science, Social Studies), not to exceed 27 students. Other Schools, 7-8, Core Academic Classes (Reading, Math, Science, Social Studies), not to exceed 29 students. 9th Grade Core Academic Classes (Reading/English, Math, Science, Social Studies), not to exceed 28 students. 10-12 Grade Core Academic Classes (Reading/English, Math, Science, Social Studies), not to exceed 30 students. On the presentation of the priorities, the feedback I received was crucial. Overwhelmingly, people were most concerned about the early grades in high poverty schools, and advocated a “the smaller the better” policy for these grades. My personal preference for something more nuanced (read complicated) and giving more attention to (what I consider) extremely large classes in some of our lower poverty schools remains, but these are compromises I can endorse. Budgeting hard caps is difficult, amending a budget that wasn’t built on hard caps is even more difficult (especially when proposed hard caps are smaller than the numbers used to make initial allocations). Going forward, revising the current (weak) MMSD Class Size Policy, and giving more attention to class size at every stage of the budget process may create a more favorable environment for hard caps in future budgets, but not this one. Remember warnings about your face getting stuck in some ugly expression? I think the champions of “flexibility” in Wisconsin and elsewhere need loud and repeated warnings that their “flexibility” in educational policy (along with privatization, cuts in funding, destruction of local control…) in fact constitutes a possibly permanent acceptance of declining educational quality and is an ugly betrayal of our traditions and our responsibility to our children. They are bending our schools out of shape and our children will be stuck with it. The events of the last six years have only reinforced my wariness. My ideal method for balancing mandates and flexibility is to mandate default choices, but simultaneously create a process by which deviations from the default are justified and approved. Although the amendment doesn’t go that far, I do think the reporting requirements (below) embody some of this concept and will create opportunities for accountability. Requiring that public reports be made to the Board of Education, which include the amount of funds remaining from this allocation, the number of sections or classrooms added to date from this allocation for each of the listed priorities, the number of sections or classrooms remaining that exceed the guidelines for each listed priority based on then current enrollments. A Baseline Report to be issued as soon as possible after the passage of the Preliminary 2017-18 Budget, but no later than July 14, 2017. A Start of School Report, to be issued no earlier than the completion of registrations (August 21, 2017) and no later than the end of the second week of school (September 15, 2017). A Report, to be issued with the October/November Enrollment Reports. I hope these reports accomplish two additional things. First is increased transparency in school and classroom staffing. I think these are the most important part of our Budget, and MMSD has been more translucent than transparent with them. Second, I think the reports will contribute to the ongoing discussion of the costs and impacts of spending on class size reduction. Before closing I want to note that I left out any mandate tying the allocation of the new positions to specific dates. The main purpose of that was to give greater weight to the highest priorities, but the process was awkward, and the reconfiguration of the priorities accomplished some of this. If you think I did more right than wrong, please let the Board (and the world) know about your support for the amendment. As usual, you can email us [board@madison.k12.wi.us], or testify at the June 26th meeting where we will be voting on this and the entire preliminary budget. Talk to your neighbors, co-workers, and friends, write a letter to the editor, post on Facebook. Instagram, or tweet something, draw something, dance…be creative. The materials for Monday’s meetings (Budget Input and Operations Work Group)have been posted on BoardDocs. I’ll list and link here, but first there are some things that were not posted that need to be addressed. A choice was made to exclude from the meeting materials all of the suggested cuts/funding sources that were part of the the Budget Amendments submitted by Board Members (at this time it is not clear who made that choice). The full Amendments are in the original post below. This is unprecedented. It is absolute and basic that proposed amendments submitted in advance be included in the materials distributed to the public and Board Members. They must be part of the record, they will be part of discussion, and the public has a right to know what is on the table (especially in advance of a “public input meeting). It should also be noted that those Board Amendments that are present in the meeting materials, are present only in summary form. My Amendments did not include extensive rationales, but Anna Moffit’s did, and to not share these with the public is wrong. Additionally, the full Title I chart included in this post (below) is not posted, with only an explanation of the process provided. There is also no further information on Title III and tuition for Ell certification (listed in my Amendments as something I would “like to explore”). An earlier Budget Presentation included the “Goal” of “Greater transparency in budget development.” The choices that have been made to not include Board Member Amendments take us further from that goal. PowerPoint, with (among other things) revised Health Insurance contribution proposal. 2016-17 Proposed Budget Equity Charts. 2015-16 Equity Charts (for comparison). (Partial) Budget Amendments (from Board and Administration, with Administrative recommendations against all Board Amendments included). Three page response recommending against Intensive Support Team Amendment (as stated above, the rationale for the amendment is not posted). Expulsion Abeyance memo, with Budget information (revised expulsion process appears as a separate agenda item in the meeting materials here, here and here, and will be voted on June 27). Public Input on Proposed Budget, Monday, June 13, 5:15 PM, Doyle Blg, Rm 103. Operations Work Group Meeting, (Budget Discussion on the agenda), Monday, June 13, 6:00 PM, Doyle Blg, Rm 103. Regular Board of Education Meeting with public input, and votes on Amendments and Preliminary Budget, June 27, 6:00 PM, Doyle Blg, Auditorium. If you can’t make these, you can always write the Board: board@madison.k12.wi.us. A couple explanatory things at this point. First, detailed agendas and materials for these meetings will be posted on BoardDocs in advance, usually at some point on Friday for a Monday meeting. Second, the final Budget is not passed until October, after many things — especially the state aid certification — are set. Amendments and changes are possible up to that point, but the Preliminary Budget is what is in place when schools open in September, and for this and other reasons is important. From my point of view there are three major places where there may be action: 1)Budget Amendments from Board Members (Anna Moffit and I both submitted amendments, more below); 2)Title I funding (Federal poverty aid, more below in the discussion of my amendments, with some linked documents and information previously not posted by MMSD); 3)The structure of employee health insurance contributions (because my spouse is employed by the district, I recuse myself on this). The latest on this is here (expect more before the meetings listed above). May as well start with my Amendments. Here is what I submitted for consideration (I may or may not make motions on individual items). I understand that in the current budget situation any additional spending must come from reallocations, but believe that it is counterproductive to match each proposed addition to a cut. Instead I have listed cuts and additions separately, with a final item on Title I and Title III. Eliminate Assistant Principals at Allis, Kennedy, Stephens and Cherokee. Cut Tech Plan Spending by $300,000. The Baird projections show an initial $8.74 Million gap for 2017-18, and this assumes the continued $250/student categorical aid, and an additional $100/student. Under these circumstances I do not believe that increasing Tech Plan spending by $625,000 is sustainable. Eliminate Special Assistant To the Superintendent for Special Projects. Cut Employee Travel Conferences (0344) from $468,803.63 to $300,000. Cut Space Rental Events/Meetings (0328) from $175,875.99 to $111,774.14. The proposed budget includes an increase, this amendment returns the amount to that in the 2015-16 budget. The Badger Rock rental was moved to object 0329 and is not impacted. I support Anna’s proposals on expanding Intensive Support Team staffing and targeting class size at “intensive touch” schools, (as well as the reallocations she proposes). This position would work for the Board of Education and assist in fulfilling data requests, researching policies, and preparing analyses and briefs independent of administrative structures. Strategic Framework Priority Area – Accountability. According to the March OWG presentation, 12.000 FTE, budgeted at $1,181,679 will be cut from Middle Schools. Without the detailed information in the Equity Chart, it is impossible to know what these cuts might be, but I would like to explore restoring some or all. Many of our Middle Schools are struggling with a variety of issues, and I think we need to make sure they have the capacity to be successful. Strategic Framework Priority Areas – Coherent Instruction, Thriving Workforce, (and perhaps Personalized Pathways and Family and Community Engagement). I may be offering amendments addressing the Title I Reserved budget (funds not allocated to schools), the poverty measure(s) used to allocate Title I to schools, the formula used to determine the allocations to schools (my understanding is that we can allocate a higher dollar amount per student to schools at higher poverty levels, I don’t know if we are doing that, but would like to explore the possibility). It is my understanding that that $300,000 three year budget for ELL certification tuition reimbursement appears to be much more than anticipated spending (Mike provided me with a summary). I believe this is Title III money, which means there are limits on how it might be reallocated. I would like to explore the possibilities, especially using some of this money to replace unrestricted funds, or to improve direct services for ELL students. I would be glad to answer any questions about any of these, but am going to mostly forgo long explanations and justifications here (the bracketed note on the Assistant Principals was added as an explanation for this post). The two exceptions are Middle School Staffing and Title I. On Middle School Staffing, just a couple of things. First, budget pressures and choices made in drafting the preliminary budget led to school-based cuts at all levels. At the Elementary level, there were two big factors. The first was decreased enrollments; the second was what might call a “relaxed” approach to class sizes in the early grades (Anna Moffit has an Amendment on this, below). The Middle School cuts were pretty much straight out budget based. At this point — less than a week before we have the penultimate meeting to discuss the Budget and less than a month before we vote — I don’t know how these cuts were decided (other than the phrase “Equity-based” has been used, whatever that means), nor what schools got what cuts. We have some info (below, and it may be out dated), but not much. This make it hard to do the job we were elected to do. I believe school based staffing allocations are at or near the top of budget issues and have been asking for information on the processes and results since at least February. I hope we get this in the “Equity Chart” this week, and if changes seem like a good idea, I hope it isn’t too late. Here is a staffing chart, with Title I information as of late March (read the notes in the link, about what this chart represents). The “Equity Chart” should provide more detail and be more up-to-date. In reference to Anna Moffit’s second Amendment below, it is also worth noting that some of the Elementary School cuts do not seem to align with (projected) enrollment changes, this may be due to the interactions of grade level projections and desired class sizes (I have not looked closely, but will try, and would appreciate it if anyone else would like to make the effort, and share their findings). Depending on what I learn (and what else happens), I may or may not go ahead with an Amendment on Middle School staffing. You can see almost all schools received an increase, and that the schools are tiered, with higher poverty k-5 schools getting more per student, and Middle Schools getting a flat (and low) $750 per student. More on the process MMSD used here. But questions remain. Is direct certification the best way to estimate poverty? Are the tiers, the cut points, and the differences per student between them the right things to do? Is the Middle School/Elementary difference good policy (remember k-5 schools also have SAGE (now AGP) for the early grades)? I am not committed to any changes from the proposed allocation, but I do want to think about these questions, hear from the community, and discuss the choices with other Board Members. Here are Anna Moffit’s Amendments. As stated above, I support them. I am not going to say more at this time, Anna Moffit has already published a strong op ed on the first, and I am sure she will be equally eloquent on the other at the appropriate time. Increase the Intensive Support Team staff by 3.5 FTE (1 FTE for the Autism /Significant Developmental Delay team/ 2 FTE for the behavioral health team and .50 for a clerical assistant). Based on community feedback and staff input there is an increased need to support our students with intensive behavioral and mental health needs. According to anecdotal information and district data there are a small number of students that are currently receiving a disproportionate amount of behavioral referrals (about 1% of our students make up 95% of behavioral referrals). Many of these students have documented or undocumented diagnoses, learning difference or a trauma history that require an acute and elevated levels of support in order to be successful in our schools. Rather than restrict eligibility criteria that create more barriers for students to accesss specialized services, we should be proactive and prevent escalating disciplinary measures that lead to exclusionary practices by increasing our capacity to serve more students in a timely matter. By investing in programs that prevent suspension and expulsion, hundreds of thousands of dollars can be saved for our district. Building the capacity at the district level to provide immediate help and ongoing professional development to non-Student Services staff via our Intensive Support Team is more cost effective in comparison to paying for expensive, outside consulting services and trainings. Based on staff feedback, there is an increased need for professional development in the area of working with students that have intensive mental health and behavioral challenges in our district. Currently, the Intensive Support Team doesn’t have the capacity to organize, schedule and provide professional development in an efficient and effective manner due to limited capacity. By providing additional team members and a clerical position, scheduling professional development during educators’ planning time would be more consistent across the district. This increase would also of-set some of the the cuts made in the previous year to Students Services staff (21 Student Services staff). opportunities for professional development have been limited and difficult to attend due to other commitments, not due to lack of interest or need. There was no additional information provided to the Board that would support lack of interest or need as the basis for not utilizing professional development funding. In fact, Behavior Education Plan surveys continue to indicate their is a high interest in increased professional development in order to meet the diverse and dynamic needs of our student body. The district will not be expanding the DLI program to all schools put forth in the ELL plan which should lead to a decrease in FTE by .50 for an additional DLI planner. This would provide about $43,755 dollars in additional funds. There are very few students and families (currently 4 families based on feedback from Principal) that have shown interest at Thoreau Elementary in the DLI program at a to-be-determined school, therefore $36,000 dollars appears to be an excessive amount of money set aside for transportation costs for busing. In total, there would be about $70,000 dollars in additional funds. Utilize funds saved from not filling the position of Special Assistant to the Superintendent ($125,000 dollars). to ensure that all K-2 classrooms can begin the year 16 students in each classroom. The funding source is undetermined at this time due to lack of information in regard to Employee Premium Compensation limits for district staff members, as well as resolution in regard to TIF 25. Based on extensive research, class size has the most significant impact on student achievement in the early childhood years. Smaller class sizes have shown to have a greater impact on academic achievement than aligned curriculum, as well as instructional coaching. Smaller class sizes also ensure that students and teachers have the time to develop strong, positive and reciprocal relationships which lay the foundation in developing a child’s resiliency. Resiliency has been shown to counter-act the effects of Childhood Trauma that is a direct result from children experiencing toxic stress at home, school and community. Students that experience chronic toxic stress are more likely to develop learning disabilities, maladaptive behaviors, as well as an increased risk of substance abuse issues and mental health challenges. Although Governor Walker has provided district a “tool” called AGR to increase class sizes for our most vulnerable students, I believe that it has a detrimental effect on student learning for our youngest learners. With large numbers of black students, students receiving Free and Reduced Lunch, English Language Learners and students with disabilities not reaching adequate reading and math outcomes, leading to huge disparities, it is critical to invest our resources in high leverage strategies that can close these gaps. Lower class sizes has also been a priority identified within our budget feedback from schools and the community. There may be other ideas that lead to late amendments, or revisions of these. Please remember, these are our schools, our children, and the School Board Members are your representatives; be part of “the village” by participating, making your voice heard at (or prior to) the meetings listed at the top. I’ll be listening, and others will too. In December I announced my candidacy for the Madison Metropolitan School District Board of Education, Seat #5 (announcement below). There will be a primary election February 19, 2013 and the general is April 2, 2013. I hope I have earned the support of the readers of this blog. You can find out more about my campaign, endorse, volunteer and donate at MertzforMadison.com. I am not sure if I will be doing any blogging during the campaign, but if I do things directly related to the Madison schools will be posted at MertzforMadison.com, and anything posted here at AMPS will be more about state and national matters. I am excited to announce my candidacy for the Madison Metropolitan School District Board of Education, Seat #5. Our public schools are the backbone of our community, the wellspring of our democracy, and the best means we have of providing a better future to all our children. As a parent, scholar, advocate, activist and organizer, I have worked with parents, professors, students, school boards, administrators, legislators, educators, and their unions to better understand and strengthen public schools. I don’t think there has ever been a time when the challenges to our schools have been greater. I want to help Madison meet these challenges by serving on the Board of Education. I have stood against the pressures of privatization, worked against the expansion and misuse of standardized testing, and have fought for adequate and equitable funding based on the idea that all of our students deserve broad and rich opportunities. These struggles will continue and expand. As Madison prepares to welcome a new Superintendent, I see opportunities to do more than react. Madison is a community and district where we have the means and the will to show that diverse public education can live up to its promises. To do this we must honestly assess those failings illustrated by the achievement gaps, but also listen to voices of our classrooms and community to understand what is working and build from our strengths. None of this will be quick and none of this will be easy. I ask for your help and support. Visit www.mertzformadison.com to endorse, donate, or volunteer; and “like” the TJ Mertz, Madison School Board, Seat #5 Facebook page to keep updated. 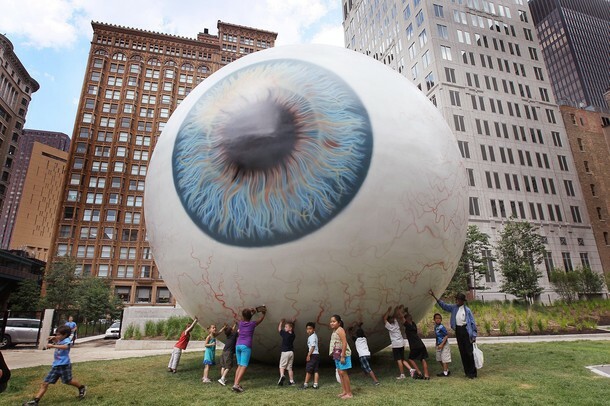 Eyeball sculpture by artist Tony Tasset from the Eye Si(gh)t blog. Mavis Staples, “Eyes On The Prize” (click to listen or download). Update: Still haven’t seen the details, but according to the Press Release, the answer to question number three is a partial yes, with calls for “full funding” of SAGE (it isn’t really “full funding,” see here on the complexities of SAGE funding), increased sparsity aid, increased Bilingual/BiCultural aid in the second year, increased special education aid in the second year, new grant programs around STEM and vocational education, “educator effectiveness, ” and more). No poverty aid. For overall state funding the combined “categorical and general school aid” Evers calls for would be “a 2.4 percent increase in the first year of the budget, the same as the Consumer Price Index, and 5.5 percent in 2014-15.” I don’t see anything on Revenue Limits. More later. Update #2: From a second Press Release, on Revenue Limits: “The plan restores revenue limit authority to all districts. It calls for an increase in the per pupil revenue limit to $225 per student in the first year of the budget and $230 per student in 2014-15.” More details on Fair Funding and other matters in this Press Release also. A district by district tally may be found here. Wisconsin State Superintendent of Public Instruction Tony Evers will reveal the remainder of his 2013-15 budget proposal on Monday (the first portion was released in September, but it lacks full school finance information; WisconsinEye will be covering the event). Evers has also announced he is seeking re-election next April (campaign website here; see here for thoughts on elections and holding Evers and others accountable for their actions and inaction). We know that Evers budget will be based on the Fair Funding For Our Future framework. We know that in outsourcing how our state defines what it means to be educated to American College Testing (the ACT) it will call for an increase in spending of time and money on standardized testing and the processing of standardized test based data (for a horror story outsourcing testing related things in Florida, see “The outsourcing of almost everything in state departments of education,” from Sherman Dorn. We know that it will in most ways be better than what Governor Scott Walker proposes, especially if the rumors that the Walker proposal will include Tim Sullivan’s “Performance Based Funding” are true ( by design this would direct resources away from those students and schools that are struggling and toward those that are thriving, an incredibly bad idea and the essence of the Republican philosophy). But there are some essential things we don’t know. Here are three things I’ll be keeping an eye on. 1. How much of an increase in State Aid will Evers call for? The vast majority of districts have experienced cuts in state aid (the most recent figures from the Legislative Fiscal Bureau, here). How much of this lost ground will Evers try to make up? 2. What increases in Revenue Limits will Evers call for? The FitzWalker gang essentially froze cut Revenue limits for 2011-12 and provided a $50/student increase for most districts for 2012-13. Revenue Limits matter. Higher Revenue Limits give local district the power to make up for lost state aid and more. To what extent will the DPI budget restore this local control? As the bar in expected achievement keeps getting raised, through a combination of state and local resources, we need to give the schools the resources they need to meet their challenges. 3. Will the DPI budget direct resources to those students and schools with higher needs? In particular, will it call for increases in aid for English Language Learners, for Special Education, for SAGE reimbursements, for Sparsity (see this column for Kathleen Vinehout on school budgets in general and sparsity in particular)? Will it direct real aid to those schools identified as needing improvement by the new “Accountability” system (see here for a discussion of that system, including this issue). One thing the new State Report Cards confirmed is that poverty is a great predictor of which students and schools are struggling. Will the Evers budget address this in a real way by providing additional resources instead of the property tax cuts to based on student poverty that have been in every other iteration of the Fair Funding plan? Property tax cuts don’t help students; students need help. 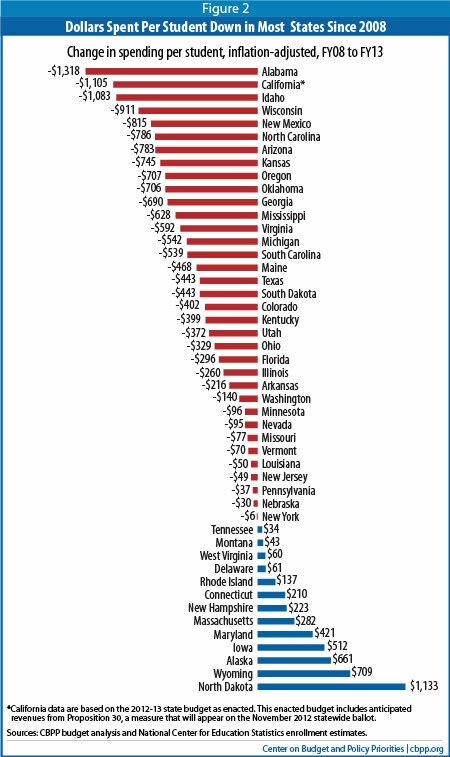 For more on school funding “fairness,” see this report from the Eduction Law Center (Wisconsin doesn’t rank very well). Those are the big three. I’ll also be looking at the size of the guaranteed state funding per pupil (which in essence replaces the levy credits in Fair Funding), what kind of “hold harmless” provisions Evers includes, and like all of us I’ll be looking at the impact of the package on my school district (along with a variety of other districts I’ve been informally tracking for years). This is step one; the next steps involve key players like WEAC and WMC, advocates in general, the Governor and the Legislature. Much of what will happen with these is predictable. I can say with great confidence that I will consider whatever Tony Evers proposes to be better than what comes out of the Republican controlled budget process. One thing I don’t know is how advocates and Democratic Legislators will react. If past actions and the recent press release from Senator Chris Larson are indications, they will follow Tony Evers lead and take up Fair Funding as their own. Depending on the answers to the questions offered here, I hope that people who care about our students, inside and outside the Legislature, keep an open mind to advocating for something better than Fair Funding, something that does make up the ground lost over four years of cuts, something that does give real local control, and most of all something that does a better job directing resources to the schools and students who most need the opportunities of quality public education. Penny for Kids would be a start, perhaps in conjunction with Fair Funding. Who cuts the barber’s hair? or Whither “accountability”? Professor Longhair, “Bald Head” (click to listen or download). Educational “accountability” is in the news and on the agenda again this week. It seems it is always in the news and on the agenda these days. I have many problems with most conceptions of educational “accountability,” especially those that are based largely on standardized tests (a visit to the National Center for Fair and Open Testing is in order if you don’t agree, or even if you do) and are proudly dubbed “data driven,” (the link takes you to old AMPS posts, Esther Quintero has an important post up on the topic this week at the Shanker Blog: “The Data-Driven Education Movement,” read it). I’m not going to take on the big concepts here and now, but instead say a few things about the new Wisconsin Report Cards and offer some thoughts about imposing some accountability on those concocting and implementing educational “Accountability” systems, about cutting the barbers’ hair. The new Wisconsin Report Cards are the product of the “School and District Accountability Design Team” led by Governor Scott Walker, State Superintendent Tony Evers, Senator Luther Olsen, and Rep. Steve Kestell and featuring a decided over-representation of privatizers and deformers (those friends of education at Wisconsin Manufactures and Commerce had a seat), and an under-representation of educators (one teacher, no union reps). The final version is a centerpiece of Wisconsin’s successful effort to garner a waiver of NCLB strictures from Arne Duncan. A school rating system like this should do three things. First it should with some accuracy and transparency rate school quality. Second, it should honestly and effectively communicate what the rating means and doesn’t mean to policy-makers, educators, parents, and citizens. Last — and assuming that the ratings are accurate — it should direct appropriate resources to those schools that need improvement. The Wisconsin system does none of these well. In fact, because of the complexities of assessing school quality, I don’t think it is possible to do all of these well and know that it is very difficult to do any of them well. The whole enterprise is in many ways a fool’s errand. A recent must-read post by Gene V. Glass for the Washington Post captures some, but not all, of the problems (I’ve touched on the use of NAEP cut scores previously, will be saying more about some other things below and will be writing more on the waiver, the abuse of NAEP cut scores, “accountability,” and “educator effectiveness” issues in the future; as I was writing this another fine critique came my way, this one from Steve Strieker, called “Another Distractor: School Report Cards,” it is a must read also). The report card for Wisconsin K-12 schools currently making the rounds is a particularly opaque attempt to grade the quality of education that Wisconsin’s children are receiving at the hands of their teachers and administrators. It is as though the Department of Public Instruction has decided to weigh cattle by placing them on a scale to get their weight in pounds then combining that with the wealth of the farmer who raised them, the number of acres of the farm, and the make of car the farmer drives. The Report Cards combine multiple and often complicated measures in complicated ways. It takes 62 pages to explain how it is all done. If in order to understand the choices made you want to dig deeper into the nature of standardized test construction (hint, they are designed to sort students, not measure skills, knowledge or ability), or the controversies over graduation rate calculations, or the limitations of the Student Growth Percentiles ( the link takes you to Bruce Baker posts on SGP and related things) used in the “growth” calculations, or any of the other concepts and tools employed , you are probably looking at at least the equivalent of a graduate school seminar’s worth of work. The system fails the transparency test. All this information is interesting, but what it means for any particular school or district is far from clear, even after the graduate seminar and that’s how it should be, that’s reality…all the test score data, and graduation rate data, and attendance data in the world isn’t going give you a full and true picture of schools and districts. That’s the first way it fails the accuracy test, a little more below. With “accountability” the order of the day, the “accountability” mavens know that people want something easily swallowed (if not digested), so the Wisconsin team has given each school a score, based on those calculations that take 62 pages to introduce. That score is what everyone looks at, everyone remembers and everyone seems to think has some profound meaning. What you really have is a Rube Goldberg machine of black boxes inside black boxes that spits out a number. That number hides all the questionable choices in the measures and manipulations, as well as all unmeasured and unmeasurable things that contribute to or detract from school quality. Some in Wisconsin were proud that we didn’t assign letter grades like Florida has, but the number is just as bad, or even worse because superficially something like 66.7% seems to have more scientific accuracy., an a B-. It doesn’t. Superintendent Tony Evers and others have said many of the appropriate things about over-interpreting the scores given schools, but they put the score there and because of the inclusion of the score, the system fails the communication test. Does this mapping method allow us to link student scores received on state test to the NAEP scale? If not, why not? No, student scores cannot be linked to the NAEP scale because the NAEP does not generate reliable scores at the individual student level, only average scores for groups of students (e.g. males, females). I would hope that at least the DPI staff working on the “Accountability” system knew this. If they didn’t, that’s a problem; if they did and went ahead anyway, that’s a bigger problem. What emerges from this dog’s breakfast of numbers? A measure of the wealth of the community in which the school is located. The correlation between the OAI and the “% Economically Disadvantaged” in the school is nearly -.70. That means that the poorer the children in the school, the lower is the school’s number on the Overall Accountability Index; and the relationship is close. In fact, a correlation of .70 is even tighter than the relationship of adults’ height to their weight, and both measure a person’s size. So what the DPI has created is a handy measure of a community’s wealth (SES, Socio-Economic Status) without ever having to ask anyone their income. DPI’s own school report card data proves what Social Context Reformers have been trying to highlight for years: Poverty is the eight ball for public education. Even an amateur’s analysis of the state’s school report card data is telling. Almost all below-standard schools had at least 45% economically disadvantaged students. In contrast, almost all graded schools with less than 10% economically disadvantaged students were considered by DPI’s measurement to surpassed expectations. Social Context Reformers must not be shouted down by the “no excuses” reformers who will surely shame Wisconsin schools graded below expectation by showcasing the few schools with high poverty rates and high-test scores. Given this pattern and what we know from 1,000 sources, the remedy should be to provide additional, appropriate help to high poverty schools. We didn’t need the Report Cards to tell us that. Unfortunately the new system fails this test too. Most of “help” under the new system is directed to Title I schools. In theory, Title I schools are high poverty schools, but not all high poverty schools are Title I. In Madison and some other districts, for reasons I’ve never understood, only pre-K-5 schools are Title I, which means that no matter how high poverty (or low scoring) middle and high schools are left out. In this case, that is probably for the best, because the “help” being offered appears to be more of a diversion of resources than an addition. No extra resources will be provided and some of the scarce resources available must be reallocated to questionable purposes. [S]chools must participate in an online district-directed diagnostic review of the current core reading and math curriculum including interventions for struggling students. The school must develop an improvement plan based on the diagnostic review, and implement RtI, working closely with the Wisconsin RtI Center. Specific interventions in the plan must address identified problem areas. The plan must be approved by DPI…o DPI will conduct electronic reviews of each school’s progress and monitor throughout the year. So extended learning, an online review, with an online plan, and online monitoring. o For public schools that do not participate in the diagnostic review, improvement planning and interventions with turnaround experts, they will close. o For schools that do participate but fail to show demonstrable improvement after three years, the State Superintendent will intervene. Pending legislation, in the case of schools participating in the Parental Choice Program, the state will remove the school from the program. In the case of charter schools, the authorizer must revoke the charter. Arne Duncan has always liked school closings. I think it is safe to say that the system fails the “direct appropriate resources to those schools that need improvement” test also. Superintendent Tony Evers also has some school finance proposals that he has been touting. Unfortunately, his Fair Funding for Our Future plan does not include directing any extra resources to high poverty schools or even those identified as in need by this accountability system. The Fair Funding plan does some good things, but addressing poverty is not one of them. For years the only state program directing resources to classrooms based on poverty is the Student Achievement Guarantee in Education or SAGE), which only targets the early grades and in budget cutting moves over the last few years, done under the rhetoric of “flexibility” has been eroded by larger allowed classes and new allowances concerning the grades covered. There does not seem to be any desire to change that, either from DPI or the legislature. Fair Funding claims that it “Accounts for family income and poverty.” In sense it does, but via tax relief for property owners, not by giving schools serving students in poverty the resources they need to meet their challenges. Under Fair Funding student poverty levels will be factored into calculations of state aid, but revenue limits will not have a poverty bump and there is no new categorical aid for students in poverty. So property taxpayers in districts with higher poverty will have lower taxes and the schools will not have an extra penny (btw –the Penny for Kids proposal from the Wisconsin Alliance for Excellent Schools/ Opportunity to Learn Wisconsin includes a poverty based categorical aid). So the Widow Hendricks of “divide and conquer” fame who owns property in multiple high poverty districts gets a tax break and the students of Beloit and Janesville get nothing. 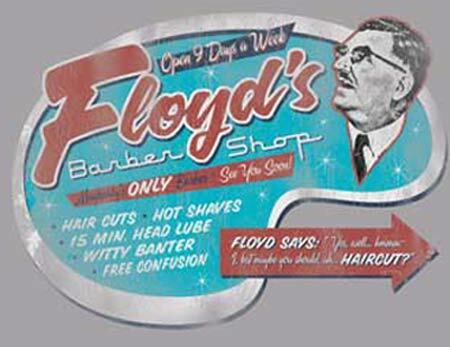 Back to the titular questions, who cuts the barber’s hair? ; who holds the people behind this mess created in the name of “accountability” accountable? We all need to. Start at the top. For Arne Duncan, join the thousands who have signed the “Dump Duncan” petition. There is also an election on November 6th and Duncan’s boss Barack Obama is up for re-election. Diane Ravitch has made a case that “as bad as the Obama education policies are, they are tolerable in comparison to what Mitt Romney plans.” Others concerned with education, especially those not in swing states, should take a good look at Jill Stein. In Wisconsin, for Senate and the House, more-or-less the same situation exists. Some version of NCLB/ESEA will certainly be before Congress, and for that all of the Democrats on the ballot are better than the Republicans, but none have distinguished themselves on Education issues the way Russ Fiengold did. Still, I’ll be voting for Tammy Baldwin and Mark Pocan and urge you to do the same. I’ve already warned Mark that I’ll be contacting him regularly on Education and other issues and calling on him be more of a progressive champion on this blog, just as I have when he was my State Rep.
At the state level, we don’t get another crack at Scott Walker this year, but there are State Senate and Assembly races. Again, the rule is Democrats better than Republicans, but there are also some Democrats who are not only better than Republicans, but are real supporters of education. The two I’d like to point to are Melissa Sargent (who is a good friend) and Mandela Barnes (who I have admired from afar). By all accounts the Senate is the key this time around. The key races where your support ($$$ and time) may make difference appear to be Susan Sommer, Jessica King,and Dave Hansen. Keeping the Senate is the best way to keep Walker in check. With all this, it is important to remember that the “Accountability” system has been presented as a work in progress and there is some legislative power to dictate changes in some areas (the Report Card portion did not require legislative action, but other parts of the waiver did), and that any changes to school funding — good or bad — have to go through the legislature. With the State Legislature, this time around accountability means at minimum limiting the power of the Walker allies who aided in the creation of the “Accountability” system. I’ve saved Superintendent Tony Evers for last. He is up for re-election in April 2013 and as with all elected officials, the best place to assert accountability is at the ballot box. It is also likely that come April, Evers will be the better choice (I supported Todd Price in the Primary last time and Evers in the General Election against Rose Fernandez). Also as with all elected officials, imposing accountability includes making sure Evers hears from the voters throughout his term, both positive and negative, and I hold some hope he may listen and adjust his course. How can we make sure that we are not being used as tokens? For this, we have to look at why we are being asked to join the conversation. What are the power dynamics at play? Do we have a vote when decisions are to be made? Will we find allies around the table to help us have some influence? Do we have any real cards to play? This gets us closer to defining what real leadership is all about. Real leadership is not just the ability to speak with clarity and authority based on our experience in the classroom. It also involves a relationship to other teachers, and to some level of political power in these situations. The bottom line is that we do not have the money to buy influence. We have to get it the old-fashioned way. We have to organize for positive change at our school sites. We have to join with others at our union meetings, and as our colleagues in Chicago showed, we may need to go on strike. We have to build strong relationships with our colleagues, with parents, with allies in other unions and social movements, and with reporters, and use this strength as the basis for our ability to speak for ourselves. We have to organize and build our strength from the ground up, because the strength that comes from the top down is like the strings on a marionette. As I said, I don’t know what parts of the Waiver or Fair Funding or other things Tony Evers truly believes in, but I have a feeling that he has misgivings about some of these. For those I urge him to give up the seat at Scott Walker’s and Arne Duncan’s table (he is after all a State Constitutional officer, with his own table) and take Cody’s advice to “to build strong relationships with our colleagues, with parents, with allies in other unions and social movements, and with reporters, and use this strength as the basis for our ability to speak.” Till that happens he shares in the accountability for the “accountability” system.